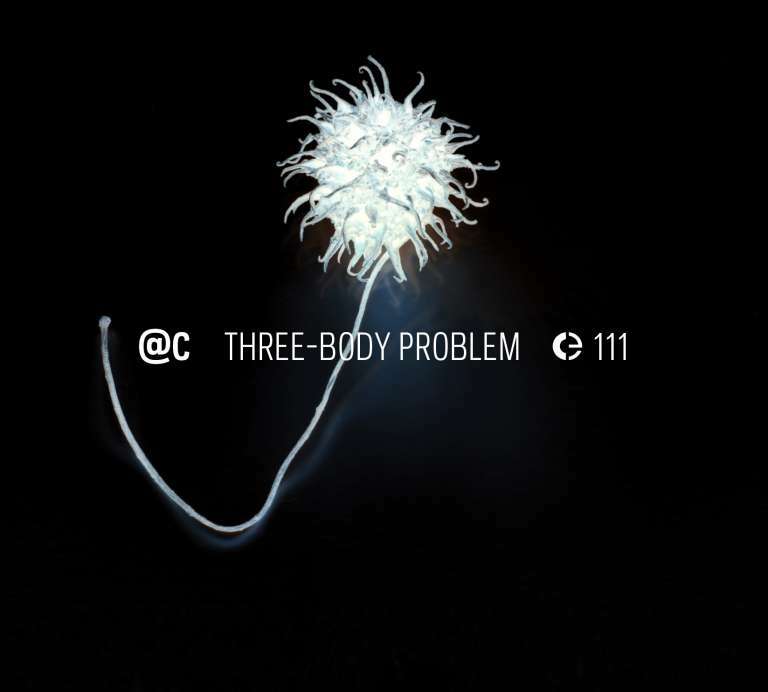 Three-Body Problem is @c’s sixteenth full-length album, and their eighth in Crónica. Like the previous Ab OVO, this album started as a soundtrack for the puppet theatre play Agapornis, premièred by Teatro de Marionetas do Porto in October 2014, and inspired in the life and works of Anaïs Nin. Three-Body Problem was (re)composed after the première of Agapornis, therefore it is not its soundtrack, but it is intimately intertwined with it, resulting from two sequential processes of composition. The first of these lead to the play’s soundtrack. It was developed with the company during the rehearsals and work sessions in the process of creating Agapornis. Built to a script with two female characters (played with puppets) that were two poles over which the soundtrack should be developed, the composition started with an invitation to Angelica V. Salvi (harp) and Susana Santos Silva (trumpet) to record solo parts. These parts were used as building blocks, as two attractors over which 21 pieces grew, almost by aggregation. The post-première stage of composition was focused on the album. This did not try to recreate the play, but rather to revise and recompose the music, building a related work that would inevitably draw much more than inspiration from the play. In Agapornis, a third character with several spoken lines was played by an actor. In this second process, that symbolic role was enacted by the interventions of João Pais Filipe (cymbals and bells) and Ricardo Jacinto (cello and electronics), two musicians with whom @c have collaborated in the past. By doing new studio recordings at later stages of the composition, or by using archival material from previous sessions, these two new collaborations helped to bring Three-Body Problem to its final form with the 9 tracks now published. Three-Body Problem resulted from a long, slow, and matured process of composition, spanning more than two years. This process resulted from the need to allow pauses in the compositional process, to allow memory to fade, and surprise to come into effect when (re)listening to the works in progress. But also to allow other works developed during that period (as live performances or sound installations) to contaminate, and occasionally infiltrate, the pieces. A third — and ongoing — process was developed after the conclusion of the album, with the creation of video works for the album’s tracks. The first of these, Transcendence 115 was created by longtime @c collaborator Lia to the track 115 (Transcendence). Other videos will follow, created by André Rangel, Cristina Mateus, Marc Behrens, Miguel Leal, Nuno Tudela, Rodrigo Carvalho, and Rosi Avelar. This album goes to the core of @c’s working process: a process that emphasizes collaboration; a process that is highly conceptual and very structured but that embraces and searches for emergence; a process that is very plastic, treating sound as matter to be shaped and modelled and from which to grow the pieces; a process that is encompassing and dynamic, developed between studio, stage, rehearsals, performance, audiovisuals, installations, and other activities. Agapornis was created by Isabel Barros, Edgard Fernandes, and Rui Queiroz de Matos. 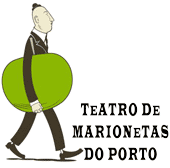 Puppets were designed by Júlio Vanzeler, built by Sandra Neves, Clá́udia Armanda, and João Pedro Trindade, and performed by Micaela Soares, Ricardo Ribeiro, Rui Queiroz de Matos, and Vasco Temudo. Miguel Carvalhais and Pedro Tudela work together as @c since 2000, developing a regular musical collaboration and joining forces with the Austrian artist Lia in audiovisual work. Their work is developed from three complimentary approaches to sound art and digital music: procedural composition, concrète sound and improvisation. Over the years they have been developing complex and structured compositions, with one foot in the fields of experimental, contemporary sound art and the other in live performance. If on one hand their compositions are usually built around strong structural foundations, it’s also common that multiple cells of sound are freed from these structures when integrated into the work, developing elaborate strategies of deconstruction. Improvisation, either in dialogue or discussion, is central to @c’s performances, as is the will to create open compositions and to nurture ongoing processes that digitally amplify sound realities. Pedro Tudela is an artist and a musician. He teaches at the Painting Department of the Faculty of Fine Arts, University of Porto (FBAUP). Miguel Carvalhais is a designer and musician. He teaches at the Design Department of FBAUP.